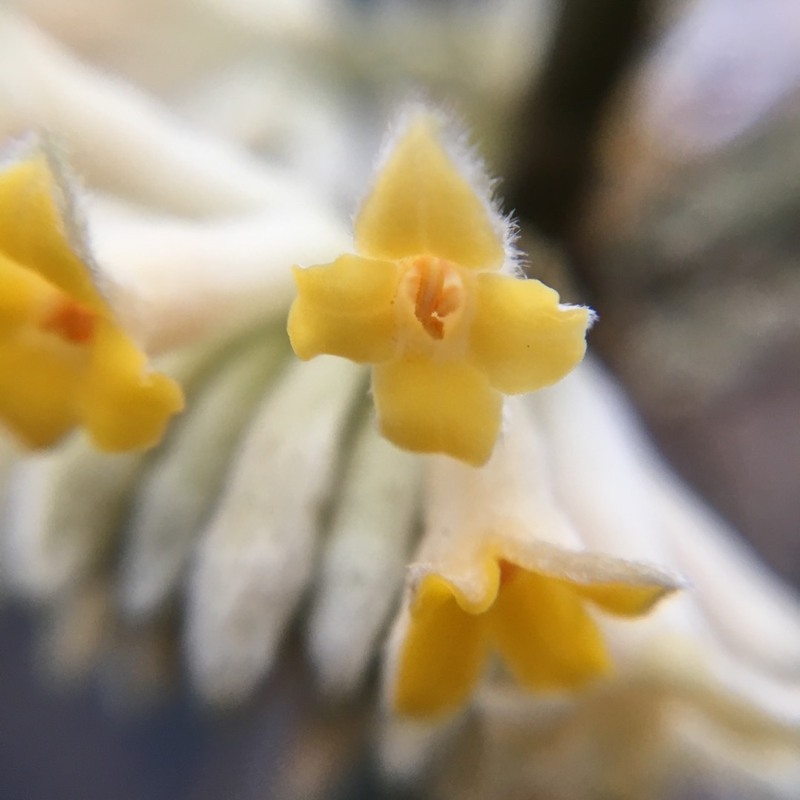 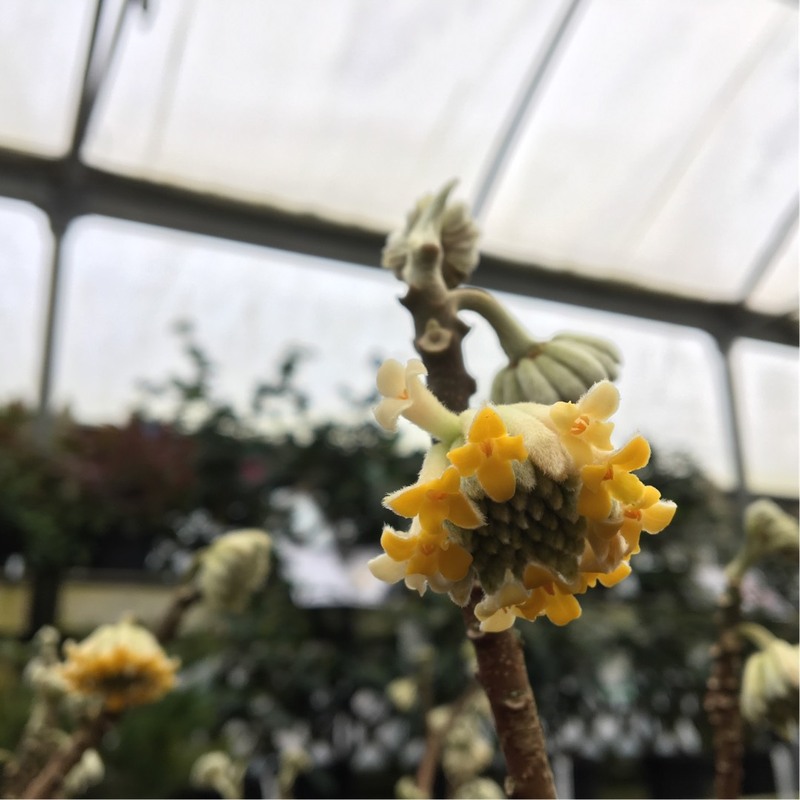 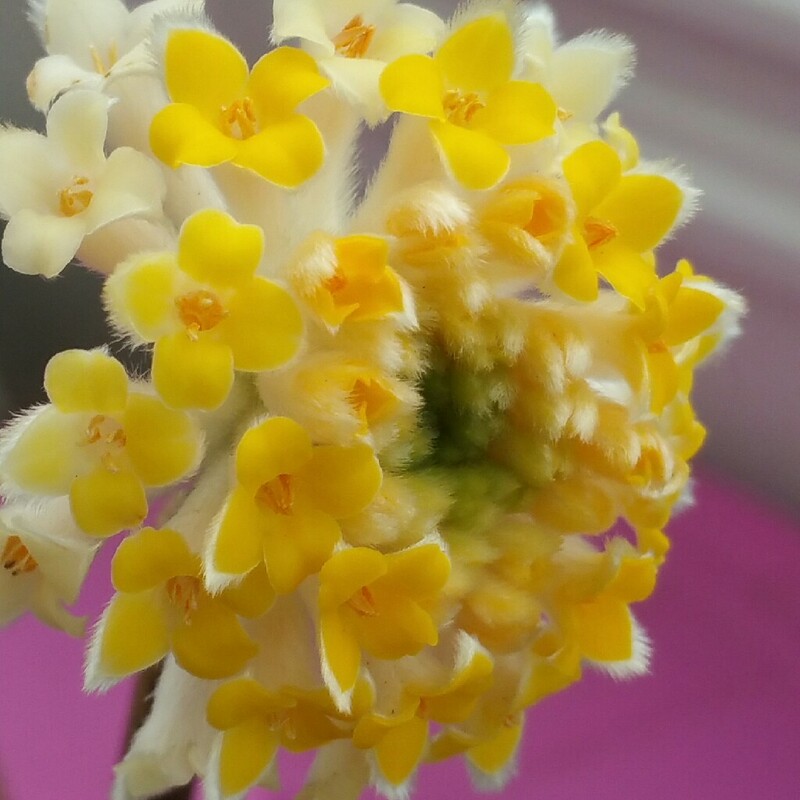 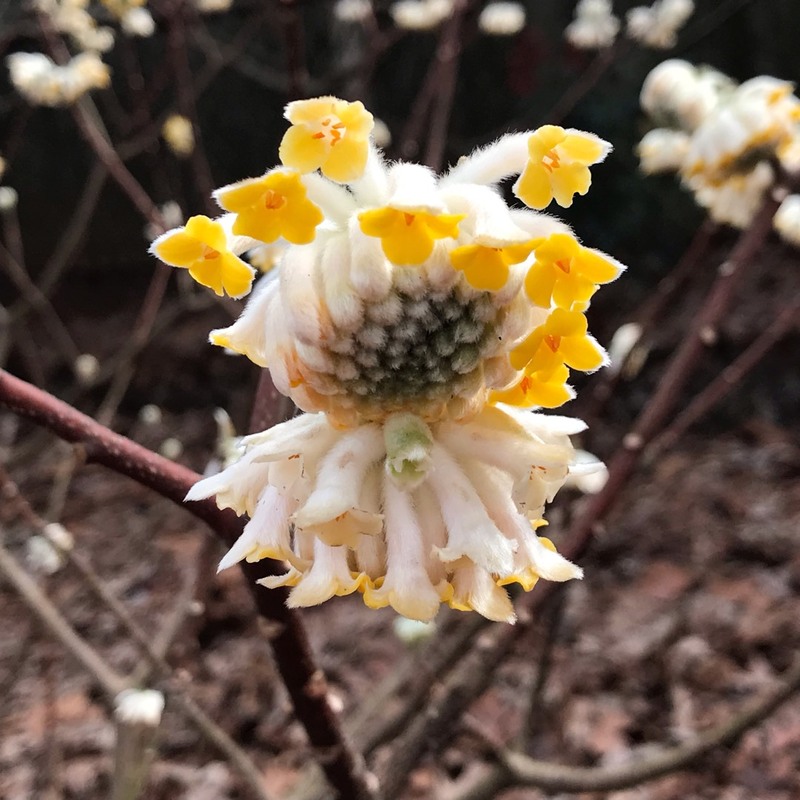 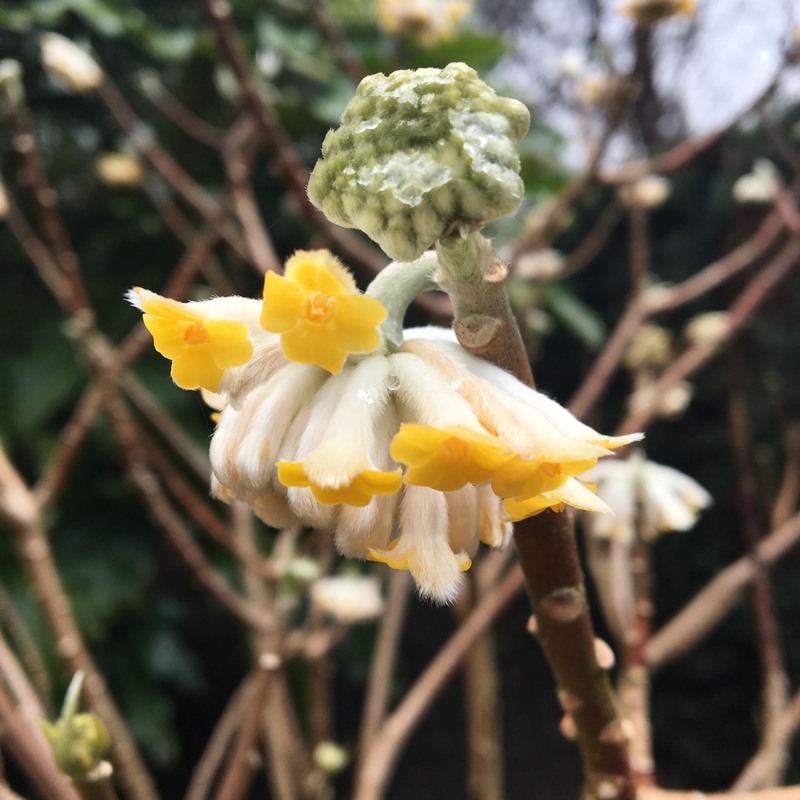 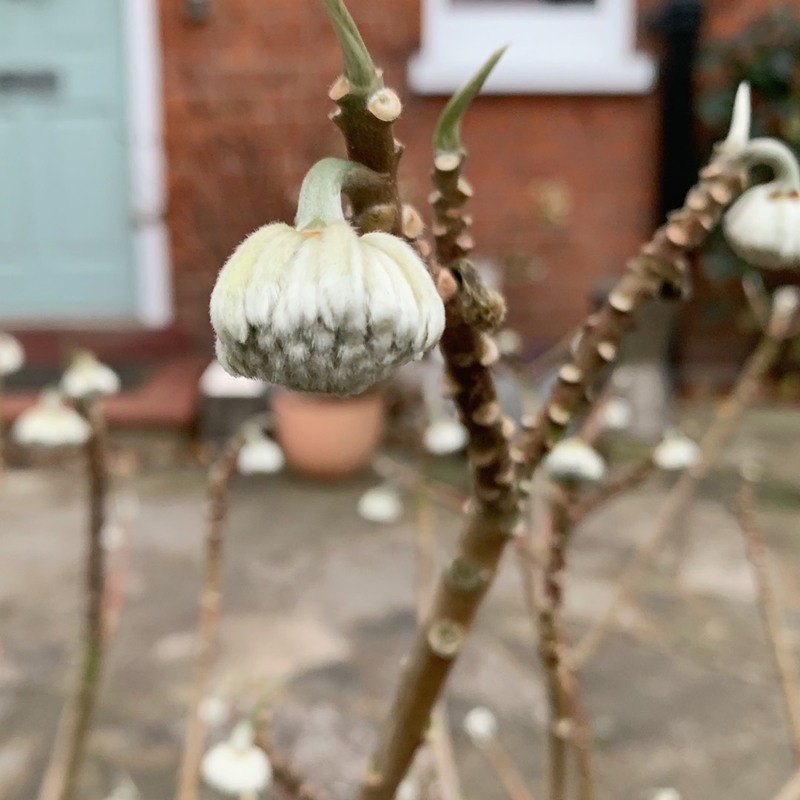 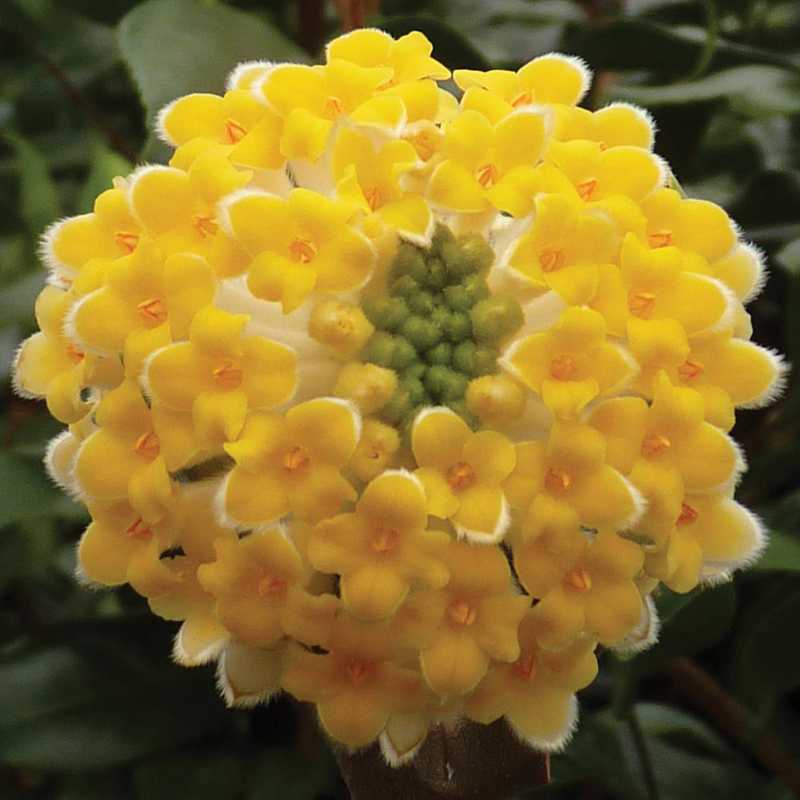 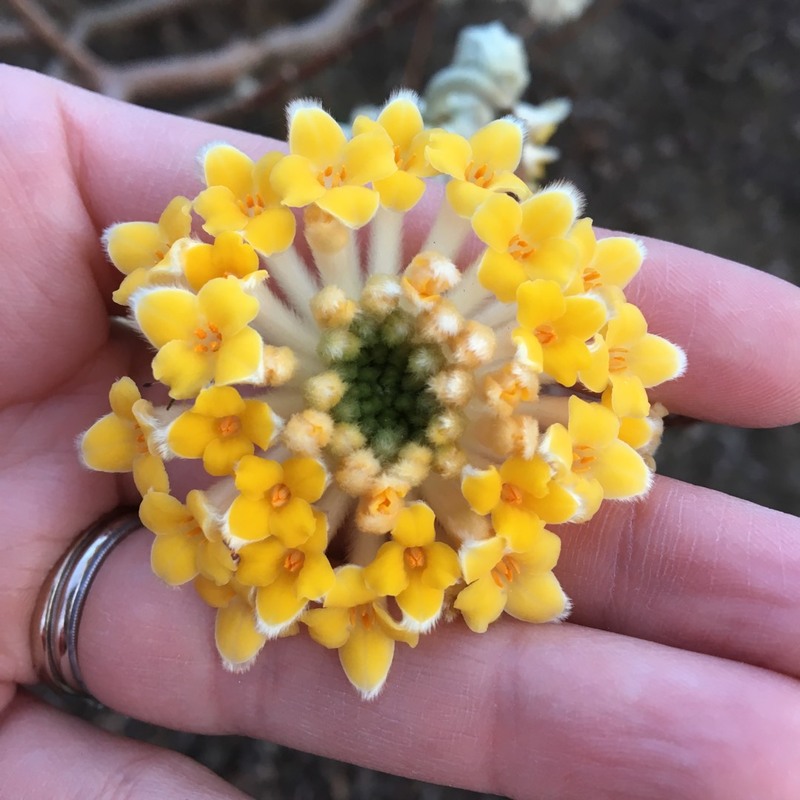 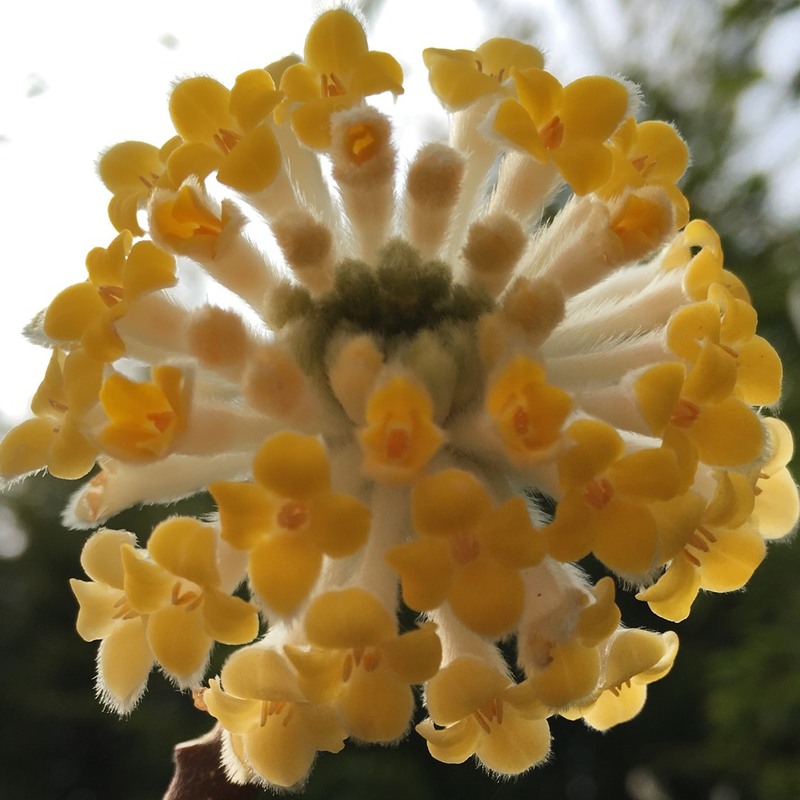 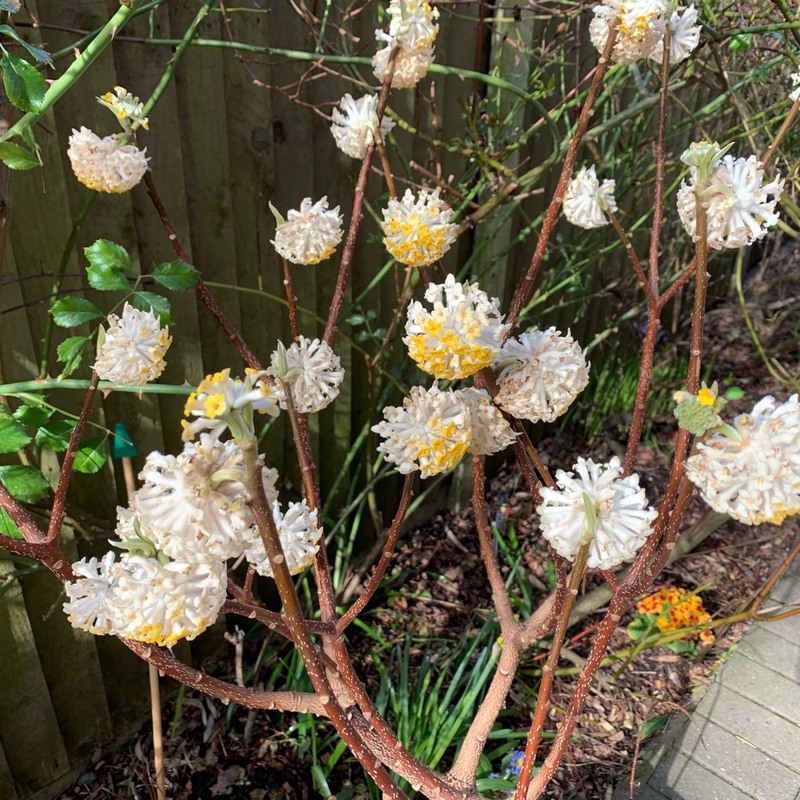 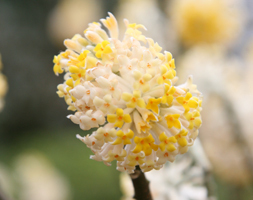 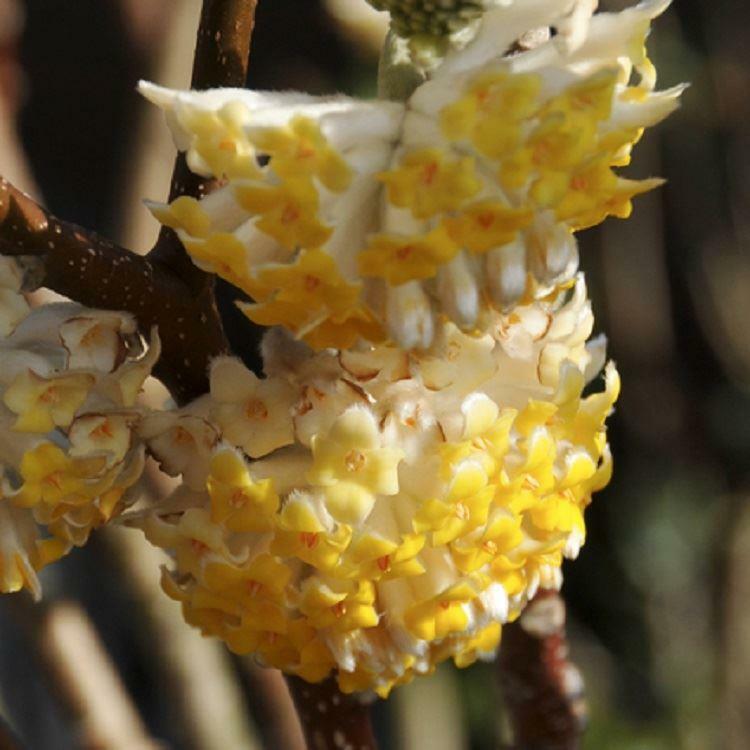 Edgeworthia - Paper Bush - is a rounded shrub with lance-shaped leaves and globes of small fragrant tubular yellow flowers, each with 4 lobes, that appear before the foliage in early Spring. 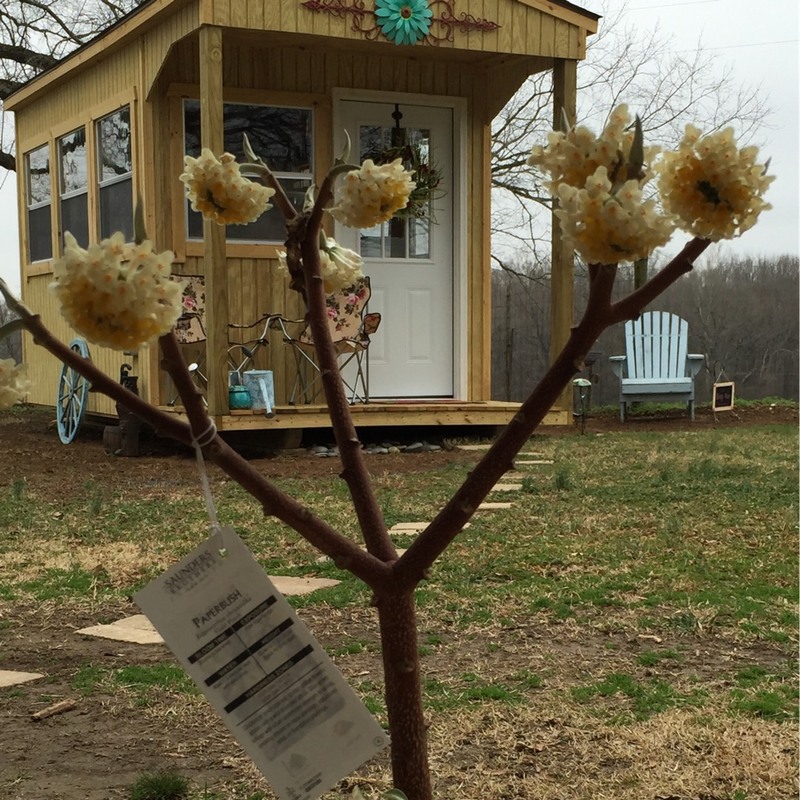 Will require frost protection. 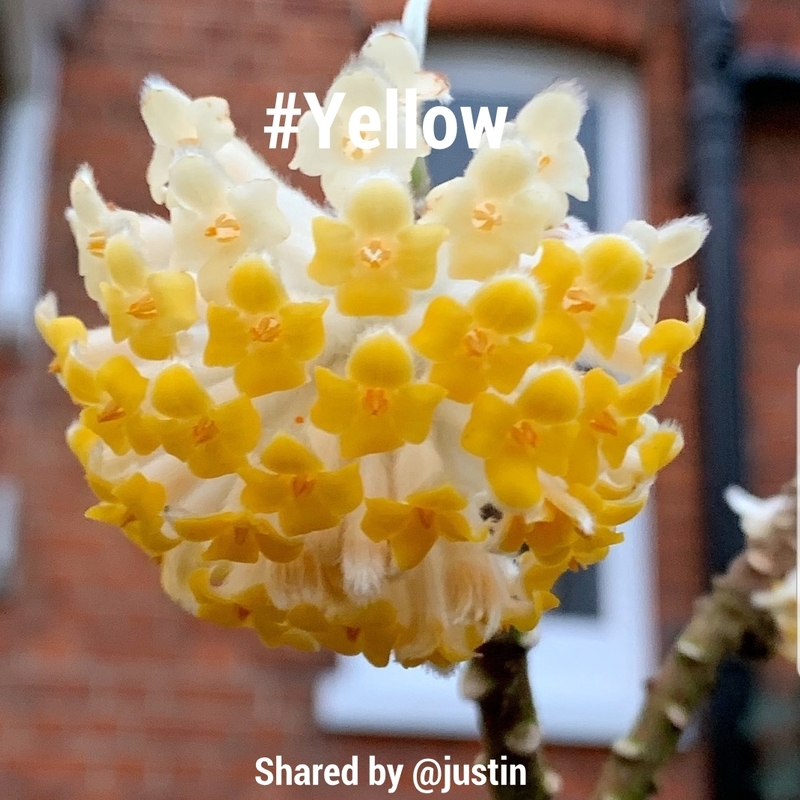 The tubular yellow flowers, each with 4 spreading lobes, form globe-shaped heads that a[[ear in Spring before the leaves appear. 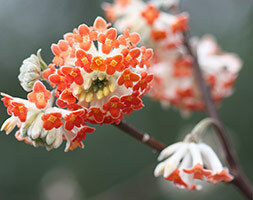 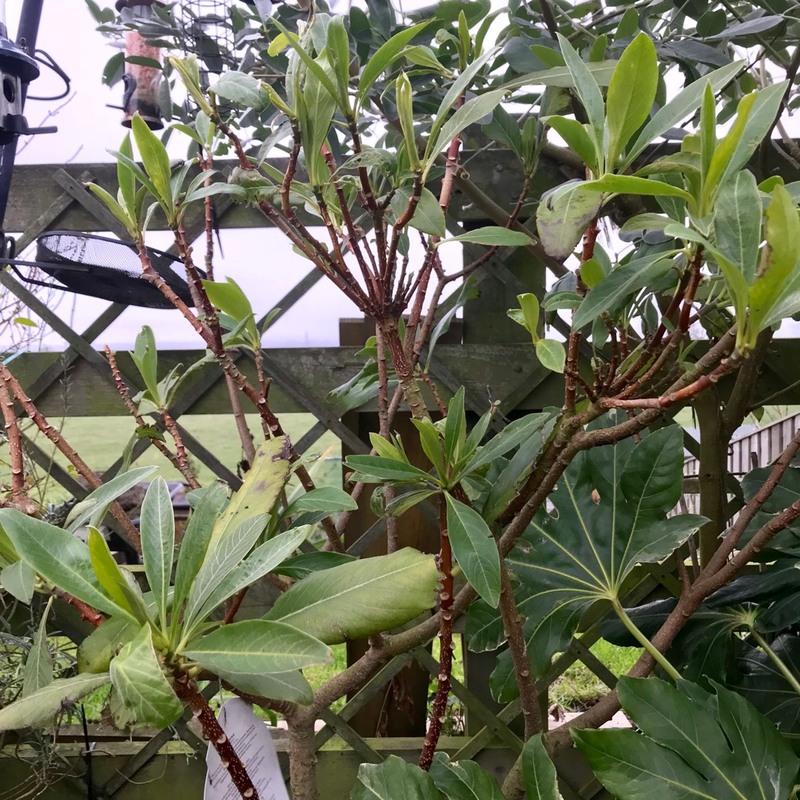 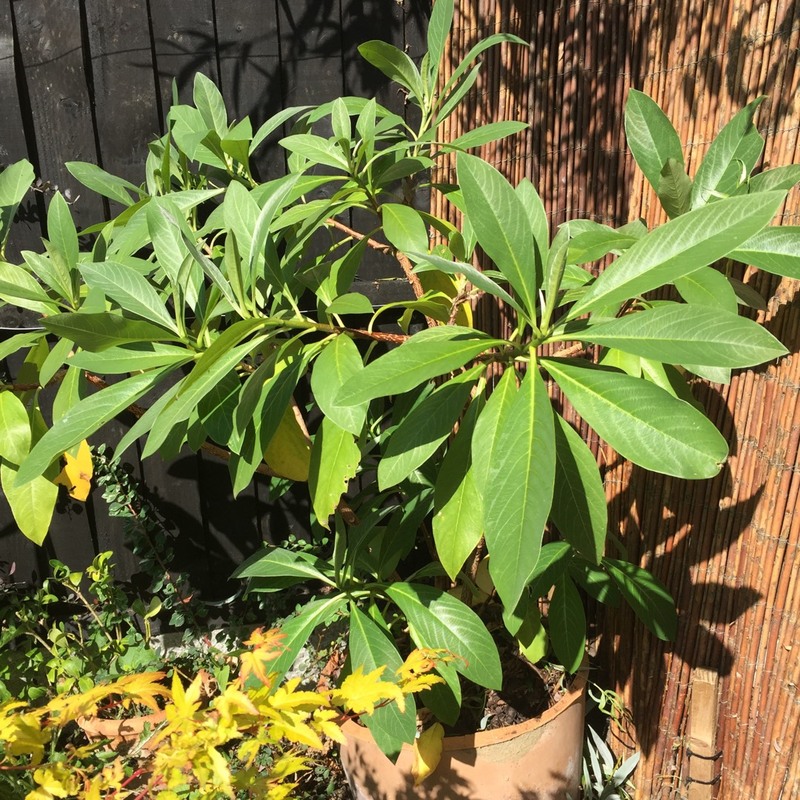 This plant can be grown outdoors in mild Winter areas. 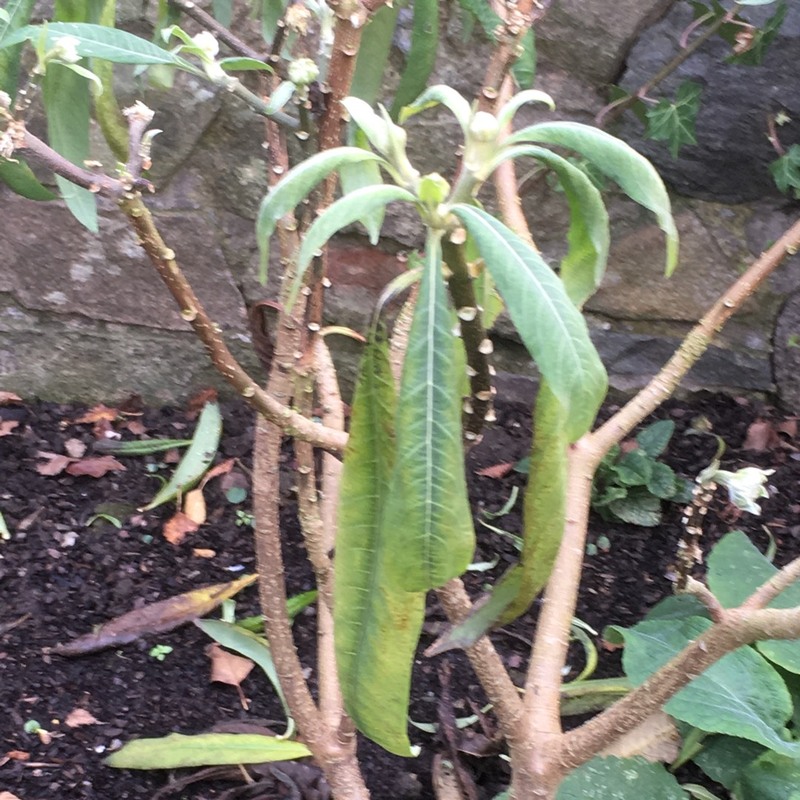 It would need protection from frost, as it is not frost hardy. 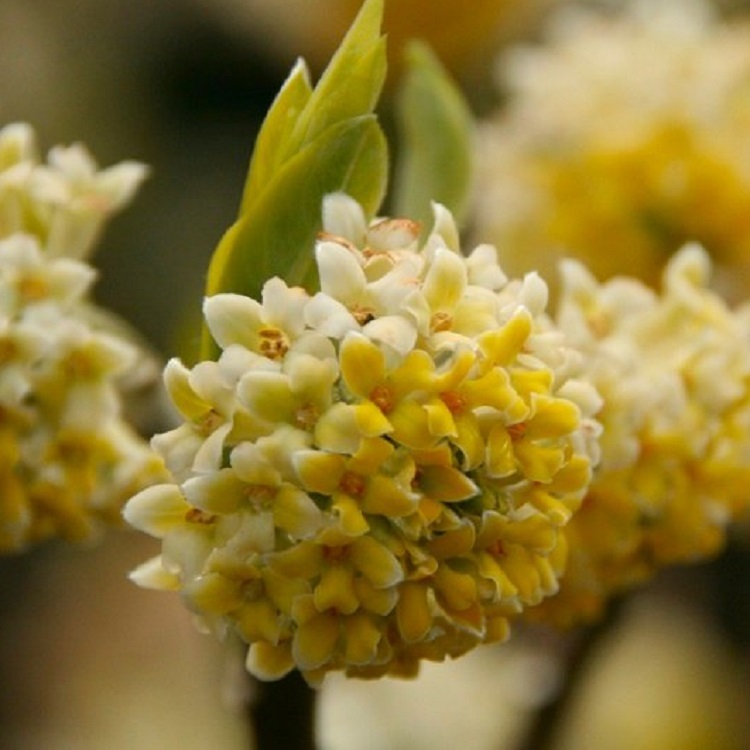 The shrub should be planted in a sunny, or partially sunny site in fertile, humus-rich soil that is moist but free-draining. 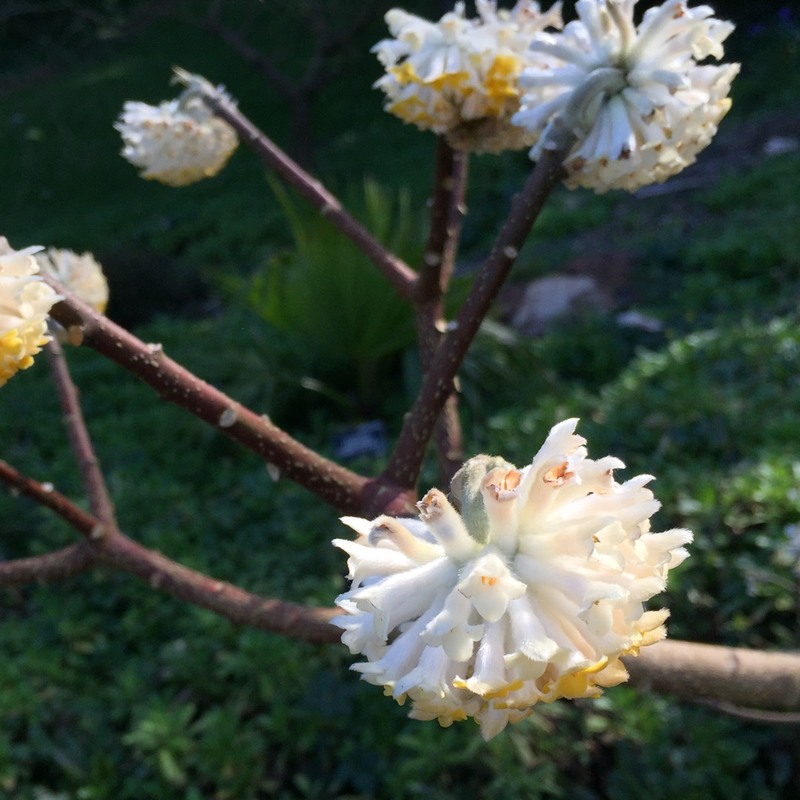 Divide a mature paper bush in mid to late Winter. 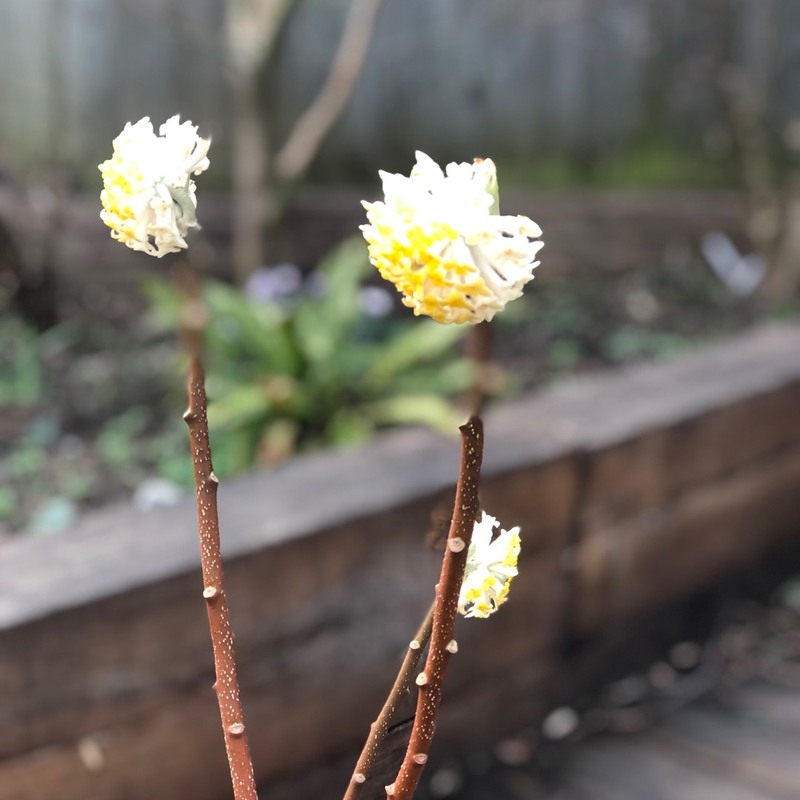 Dig up the root ball and divide it at the roots into several plants, and re-plant the divisions immediately in the desired positions.